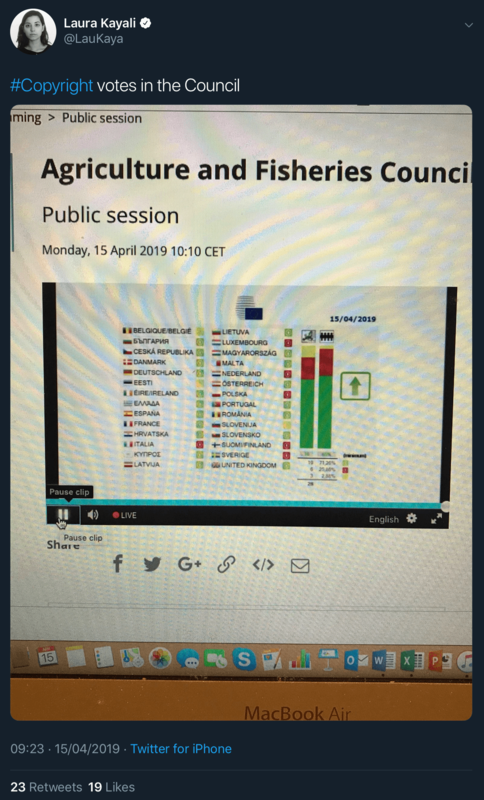 The widely-criticized Articles 11 (the link tax) and 13 (the meme ban/upload filters) of the EU Copyright Directive have been backed by the EU Council in a final vote. In total, 19 countries were in favor of the Directive, six countries voted against it, and three countries abstained from voting. Now EU member states will have to create EU Directives that make Articles 11 and 13 part of their national law. The EU deadline for this is 2021 but the EU doesn’t usually enforce its deadlines so the final process may take even longer. The Directive could still be challenged legally by the ECJ (European Court of Justice). Critics have highlighted that Article 13’s requirement for upload filters directly conflicts with the older E-Commerce Directive which does not allow for requirements that proactively monitor for IP enforcement so this could be used as the basis of a legal challenge. 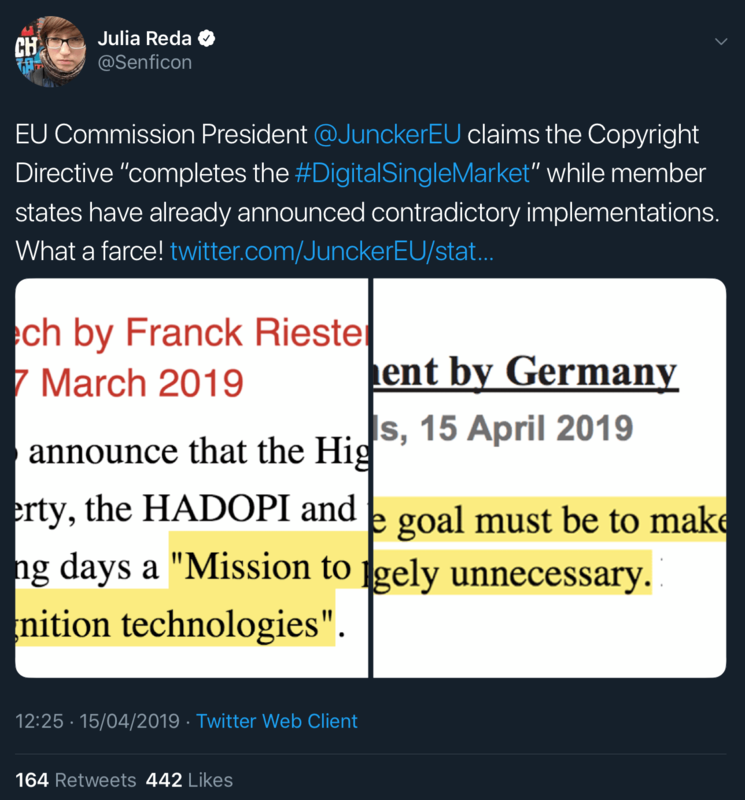 However, according to MEP (Member of European Parliament) Julia Reda, one of the most prominent critics of the Directive, this is a slow and difficult process. She believes voting for MEPs who respect our digital rights in the upcoming European elections is the best way to bring about change. The European elections take place between May 23 and May 26 and EU citizens can get instructions for voting here.